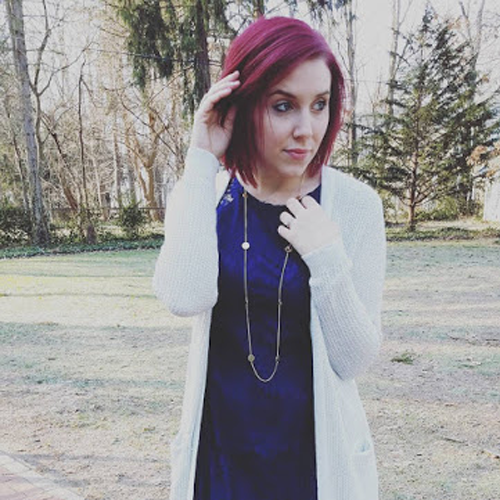 Styled by Stacy: Dressing the First Trimester! As a Fashion Blogger who has become an expecting mother, I have received many questions from followers and friends on how to dress while pregnant? I am no expert on “maternity fashion” by any means but as a fashion influencer I feel it is my duty to share my wardrobe leanings with all of you in hopes to help you look and feel your best, even while pregnant. Now that I’m in my second trimester and face new fashion challenges I wanted to reflect on my first trimester and share with you how I survived in the fashion world while dressing an ever growing baby bump. When your in your first trimester your bump starts to grow little by little. For the most part you can still fit in your favorite pair of jeans. If you're like me and experience a form of morning sickness that didn't leave me nauseous, but instead I had a constant stomach ache, leggings and dresses became my best friends. Most of my dresses were already flowy so, it was easy to put them over the bump. I also earned to get creative with styling a simple black tank and leggings. The key is to accessories and layer. As a stylist I find it my duty to interpret the latest season trends. When you have a growing bump this gets difficult. A lot of maternity wear is pricey, especially since it's only something you will wear for 9 months. I tend to gravitate to more simple and inexpensive basics when maternity shopping. A basic black tank might not be on trend but, what accessory can you add or cool jacket can you style with it to make it look trendy? These questions and re-envisioning basics is the key to my maternity style. There is no need to go out and spend tons of money on maternity fashion, just keep it simple and basic and let that black tank or tee be your canvas. Not to mention it makes getting dressed in the morning a lot less stressful, it's easy to feel insecure with your transforming body although, you should remember you are growing an amazing life inside you! Put on a great statement piece and a fun leather jacket and hit the town with hot maternity style!